The first thing you should know about L.A. Noire is that this is not a traditional Rockstar game. If you come in expecting a Grand Theft Auto-style adventure, you will be sorely disappointed. Having said that, L.A. Noire is pretty damn brilliant in its own right. 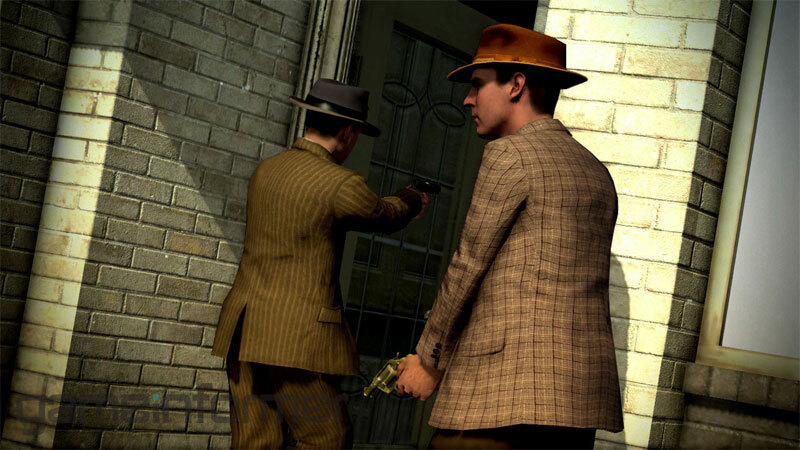 Set in 1947 Los Angeles, the game places you in the role of Cole Phelps, an LAPD Officer who is trying to work his way through the ranks after just coming home from World War II. In a world filled with crime and shady characters (as in the classic film noirs that this borrows heavily from), Phelps is one of the rare few who seems interested in doing the right thing. Phelps doesn’t believe in covering up evidence or tampering with crime scenes; he does his job strictly by the book. This is a refreshing change of pace from previous Rockstar titles in which the lead character basically has free reign to wreak havoc in the game environment. Cole’s job is to investigate crime scenes and to figure out exactly what the hell happened at them. This involves inspecting areas for clues, examining dead bodies, chatting up witnesses and interrogating suspects. While maintaining the open-world environments found in other Rockstar games, L.A. Noire is much more linear overall. You are given case after case to solve, and outside of some side missions that usually involve shootouts or chasing after suspects, there isn’t as much to do in the game world. This is not a problem at all, however, because the cases are long and extremely engrossing. It’s hard not to get caught up in the particulars of certain cases, especially while working in the homicide department. Many of these crimes are based on true stories, which adds even more to the game’s authenticity. In terms of creating 1940s Los Angeles, this is pretty f’n incredible. The gameplay plays out as something like a hybrid of Heavy Rain’s detailed theatrics and the old point-and-click PC adventure titles prominent in the 1990s, with bits of action sequences sprinkled in. 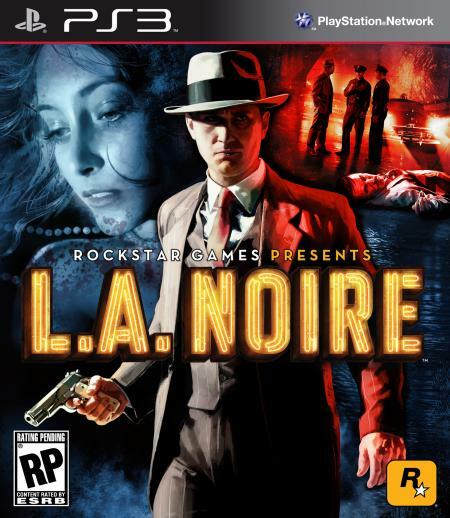 But really, L.A. Noire has developed its own unique style that sets it apart from other titles. While the action sequences are fun — ramming suspects off the road or chasing them on foot over rooftops never gets old — the most intriguing part of the game is when you interview potential suspects. L.A. Noire’s big developmental feature is the use of a new MotionScan technology that uses astounding facial accuracy to make the characters truly come to life. 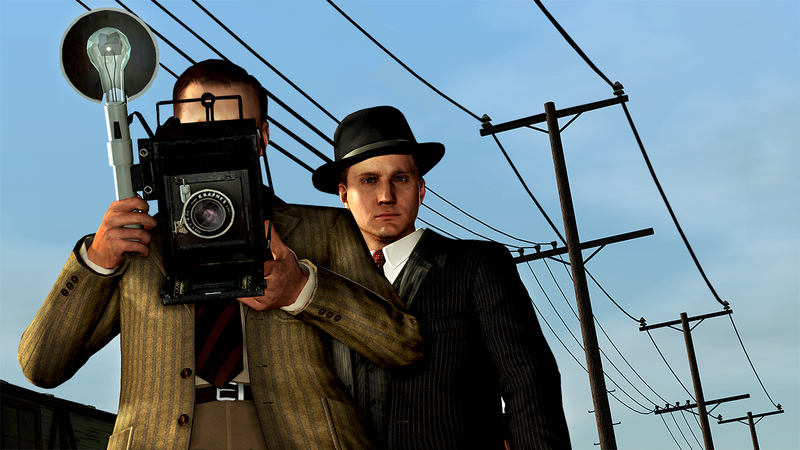 Seriously, L.A. Noire has the best facial expressions ever seen in a video game. This is absolutely crucial to the gameplay as well since you are required to study the faces of suspects, witnesses and anyone else you talk to. When someone answers one of your questions, you are given three choices: “truth,” “doubt,” or “lie.” It’s up to you if you believe the person of interest or not, but if you believe they are lying then you have to show some kind of proof. If you are unable to accurately determine if they are telling the truth or not, you will be penalized and this can change the outcome of the case. It is possible to send the wrong person to jail in some cases, so it is extremely important to study character reactions. The aforementioned MotionScan technology is made of even greater use by employing real actors to play out the in-game characters. The game borrows heavily from the cast of Mad Men, as more than a handful of the popular TV show’s actors have been used for various roles (including Aaron Staton aka “Ken Cosgrove” as Cole Phelps). The combination of outstanding facial animations, authentic acting and an immaculately-detailed LA game environment makes this one of the better looking games on the market today. Throw in some phenomenal voice acting and 1940s radio and you have a fantastic work of art. For all of its brilliance, however, L.A. Noire is not perfect. The game offers 21 cases in total to solve, but they start to grow repetitive around the final third of the campaign. This happens after the homicide chapter, which is so good that it would have been really hard to top. Considering the way the story goes, it makes sense to have it in the middle, but it’s almost like Team Bondi gave away its main event too early. Outside of this, there are some occasional annoyances that hinder the gameplay such as idiotic pedestrians who have a habit of running like maniacs directly into your car’s driving path, as well as some occasional glitches and slowdown. Late in the game, I stumbled across one of the most bizarre glitches I have ever seen: I was driving to a crime scene and cut through someone’s backyard. Not a big deal, but apparently the game randomly decided that their yard was made of quicksand and my car slowly started to sink into the ground, tail-end first. The game jolted Phelps and his partner out of the car while the vehicle proceeded to tilt straight up, with just the front half of the car remaining above ground. It was definitely a strange sight to behold. I got a kick out of it, and this will probably not happen for too many people, but I couldn’t help but to share this weird little story. 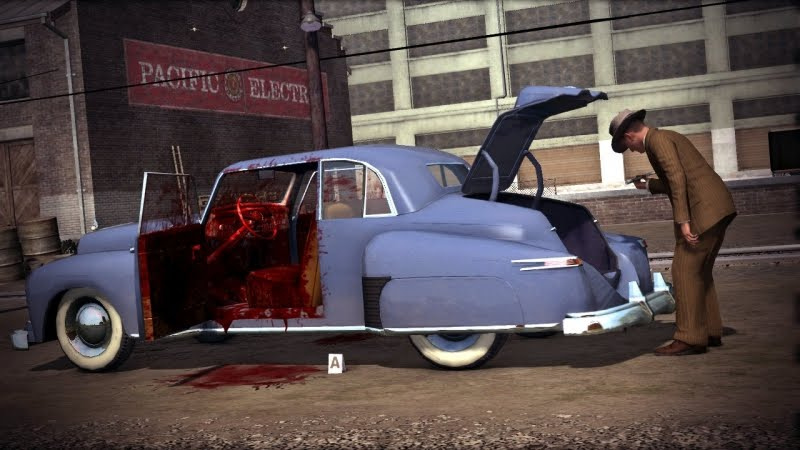 In essence, L.A. Noire is pretty damn incredible despite its flaws. This is a game unlike any other, and it is one that will surely spawn its own copycats in the future. There is room for growth, which I am sure the inevitable sequel will expand upon, but this is still an engaging experience for anyone interested in detective fiction and film noir. As long as you don’t expect a wild action ride like GTA, chances are you will enjoy L.A. Noire as much as I have. Pretty spot on review. I thought it was a great game myself, but it dipped considerably after the Homicide desk. That was such a great desk from start to finish that it was very disappointing to see the game spiral into an absolute mess by the time it was over with. It was outstanding from beginning through the end of Homicide. I agree, the Homicide desk was awesome — I could play an entire game based on that area alone. While it dragged a bit after that point, I thought the last couple of cases picked things back up. Still a lot of fun overall. Right on! Still one of the best titles to come out this year.